The Menzingers is a punk rock band from Scranton, Pennsylvania. 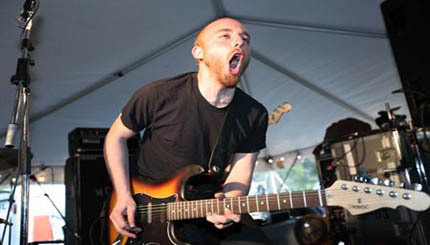 The Menzingers formed in the wake of Scranton ska-punk bands "Bob and the Sagets" (featuring Tom May, Joe Godino, Eric Keen, and non-Menzinger member Curtis Ayers) and Kos Mos (featuring Greg Barnett, Adam Mcilwee of Tigers Jaw, and Leo Vergnetti of Captain, We're Sinking!). Their first release was a self-titled demo tape made in 2006, which made its way onto many top ten lists of that year.